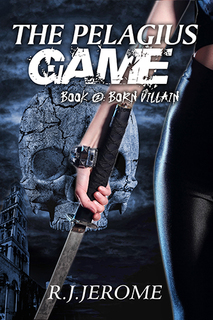 R.J. Jerome’s “Born Villain” (book 2 in the “Pelagius Game” series) is sure to delight readers with its unique blend of elements from multiple genres (fantasy, spirituality, adventure, etc) that expands upon the incredible world that Jerome built in book 1. Timothy Anderson and Scott McCree return in this installment hoping to put an end to a power grab by Pope Orlandis, in which he hopes to become the totalitarian ruler of Earth. Jerome really ups the ante in this volume. The stakes are higher, and the characters are driven by the knowledge that what they do – or don’t do – can shape the future of Earth. Jerome does an excellent job incorporating elements from multiple genres seamlessly, and the plot twists and turns with lots of action. I'd definitely recommend this if you’re looking for a book that’ll make you think deeply while entertaining you with a gripping plot filled with action and adventure.